SEIS Need to know tips for startups from Business N2K on Vimeo. 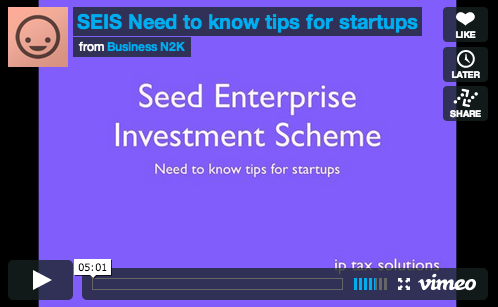 A short 5 min overview of the Seed EIS tax incentive and need to know facts and tips for startup founders. Remember, SEIS requires a subscription for shares – loans do not work. Look forward to your feedback and experience of using the scheme in the comments section below.